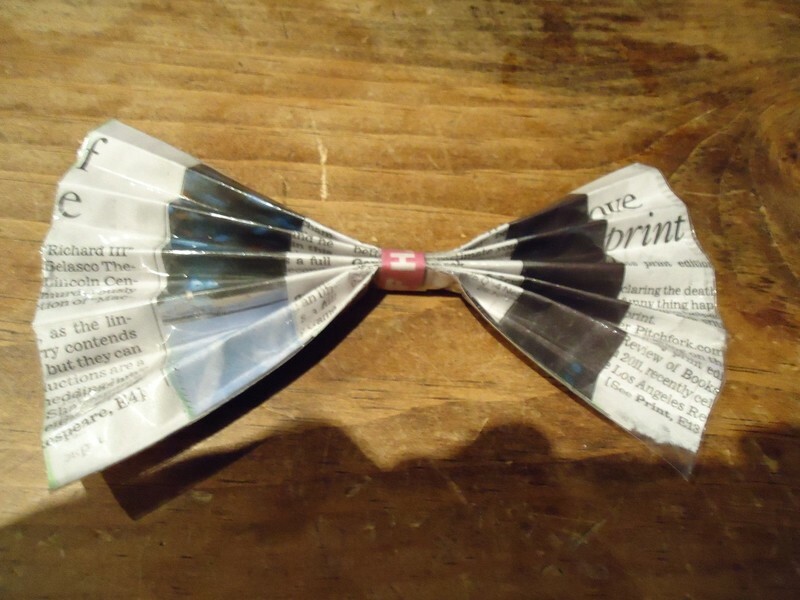 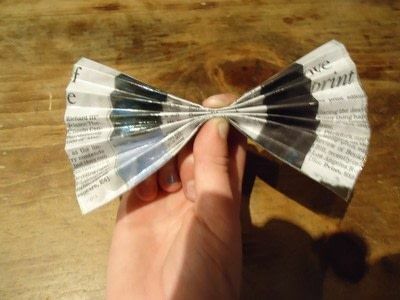 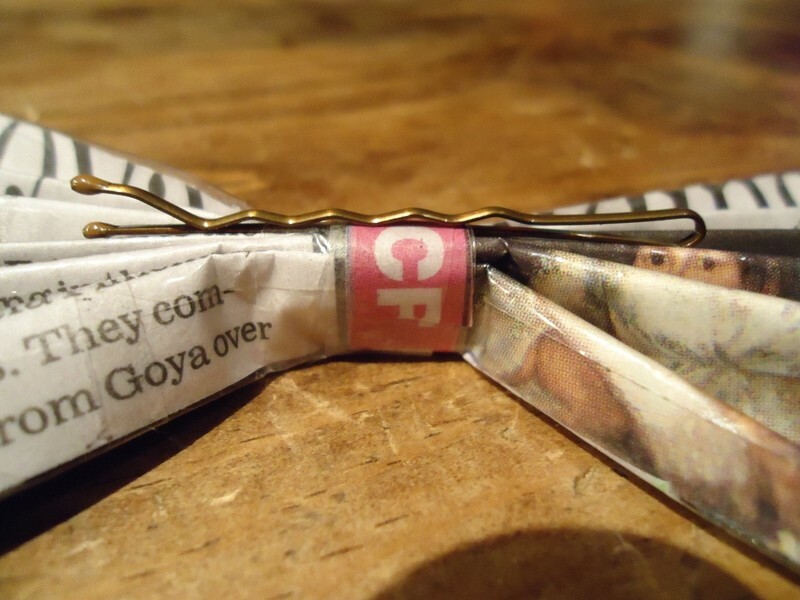 Real easy to make and cute hair bow made out of news paper. 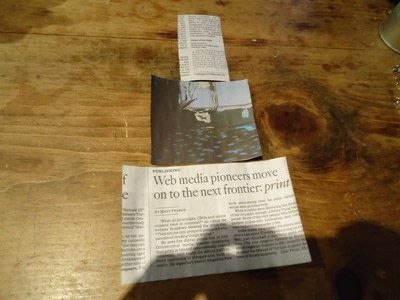 Cut three rectangles out of news paper that are all 4" wide. Make one 6" long, the second one 4" long, and the last one 2" long. Glue them on top of each other biggest to smallest. 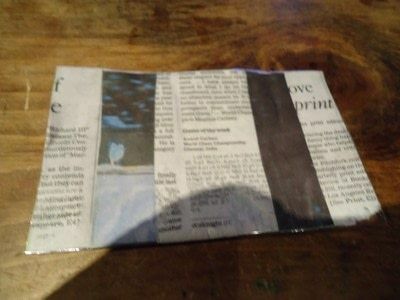 Cover the front and back with clear packing tape and trim the edges. 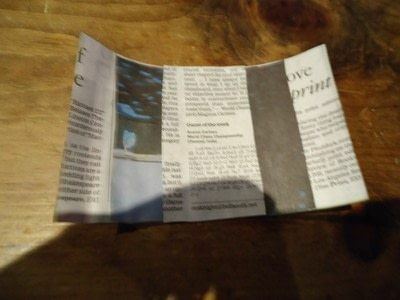 make a tiny fold across the long side then make more back and forth until the rectangle looks like this. 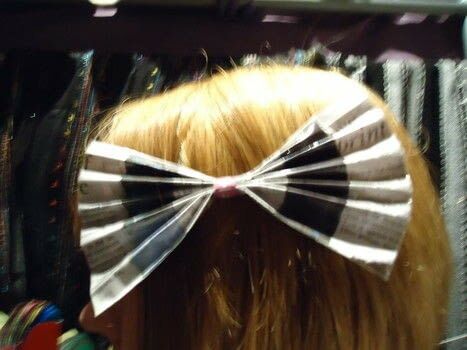 Slip a piece of tape sticky side down in between a bobby pin then wrap the tape around the middle of the bow.